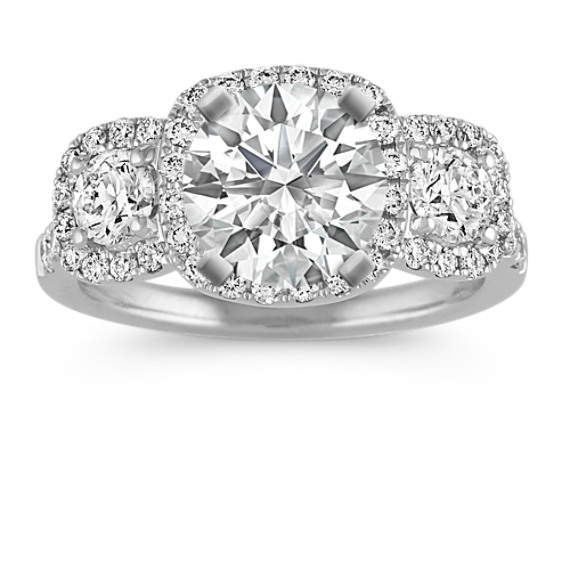 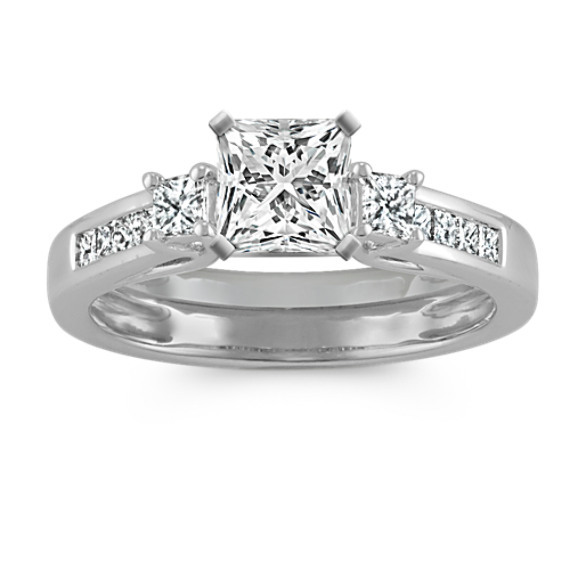 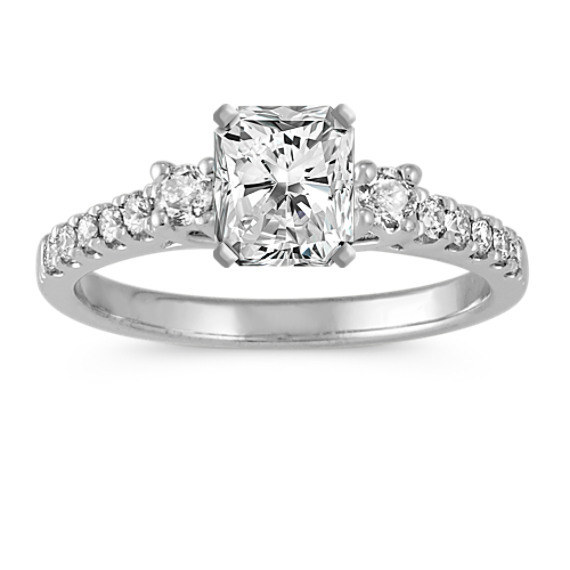 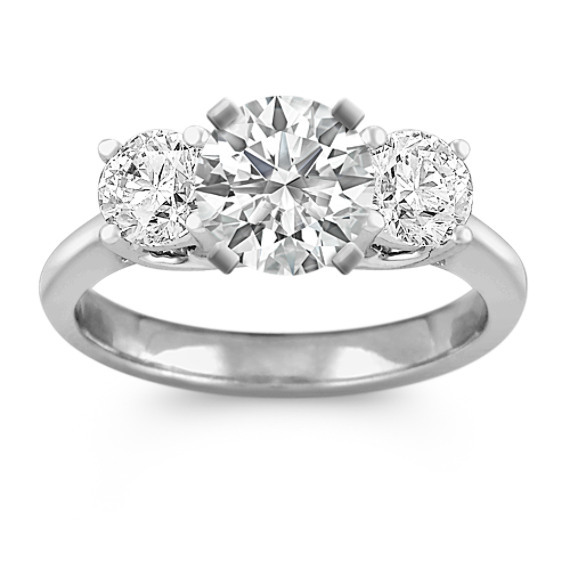 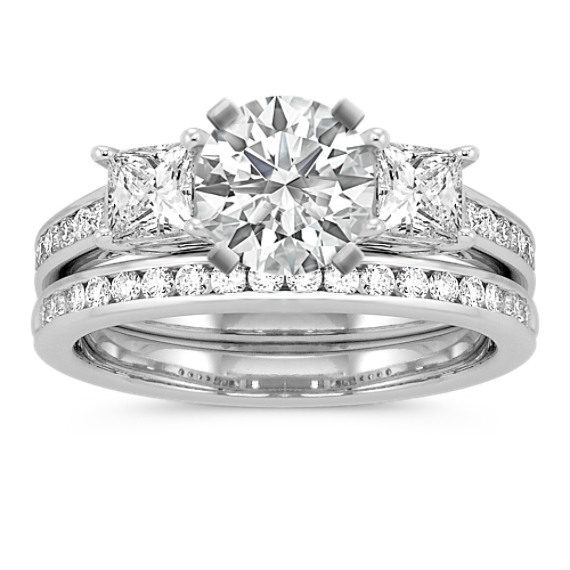 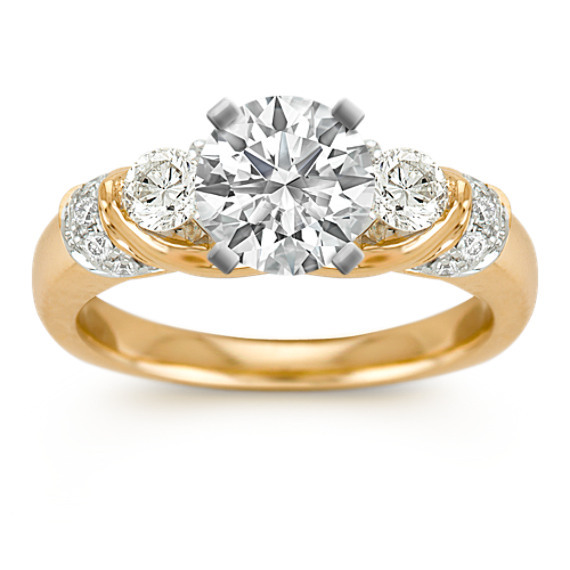 Three-Stone Engagement Rings from Shane Co.
Why settle for one gorgeous diamond when you can have three? 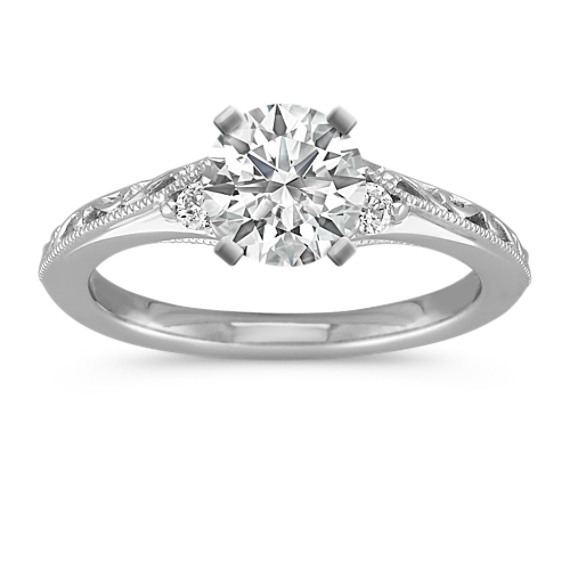 Consider a three-stone engagement ring from Shane Co. and celebrate your love with a ring featuring high-quality diamonds. 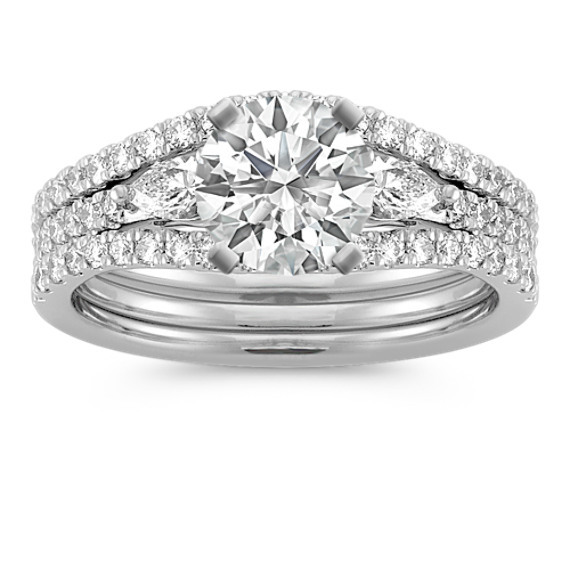 The three-stone engagement ring is a classic choice for many brides-to-be, and its radiant appeal makes it stand out among modern ring styles. 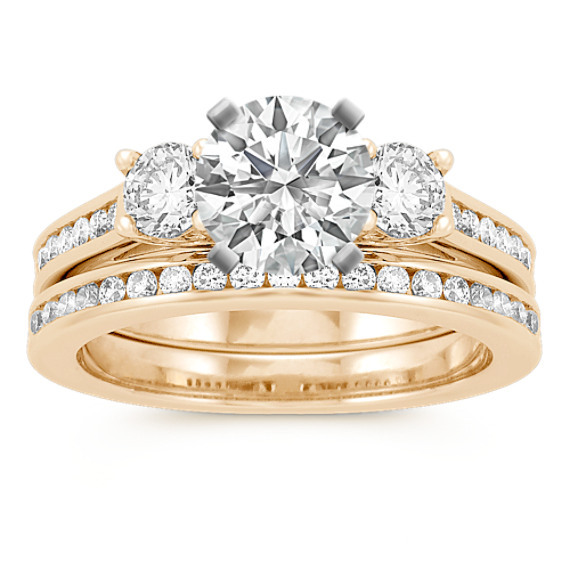 What is the meaning behind three-stone engagement rings? 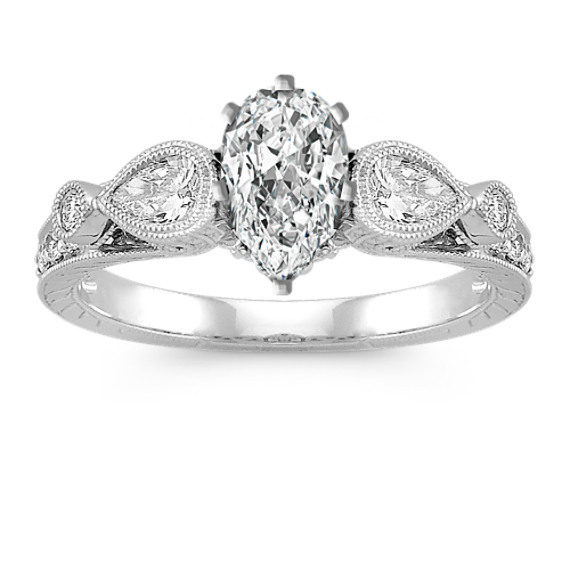 While some prefer opulent halo rings or unique vintage rings, you may have an affinity for something with a bit more tradition. Our engagement rings with three stones carry symbolism that some cultures and religions have passed down for generations. 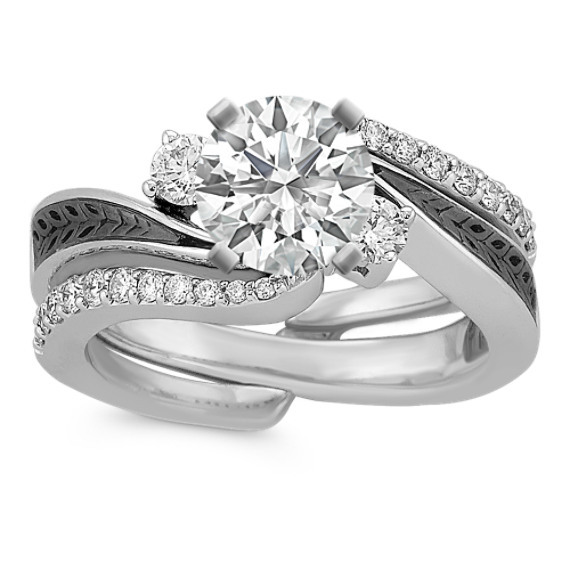 For instance, a three-stone engagement ring can represent a couple’s journey through life together. 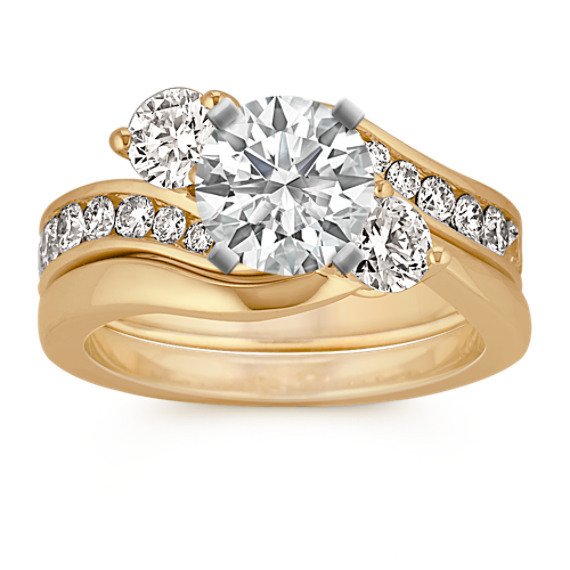 For others, the three stones represent the past, the present and the future. 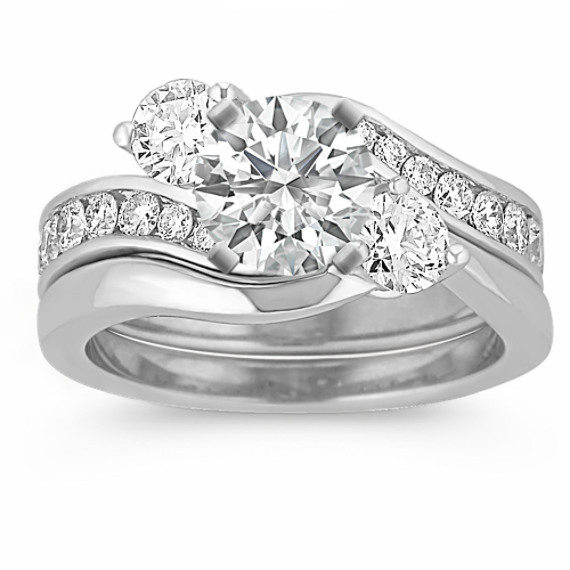 For men and women of faith, the stones may symbolize ideals such as fidelity, love and eternity. 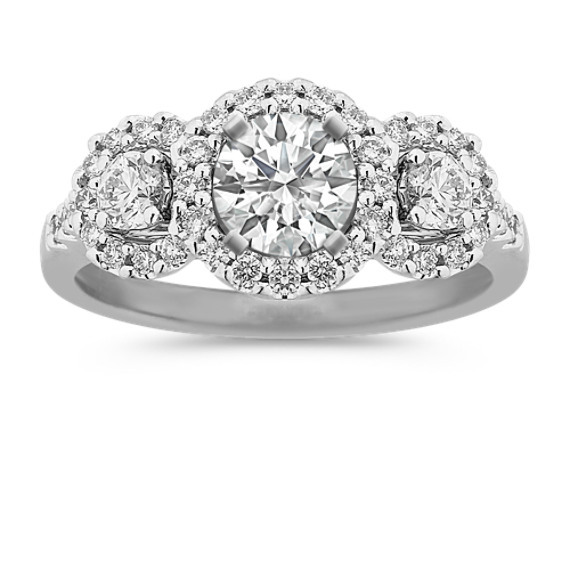 Whether you choose a three-stone ring for its symbolic significance or simply because you appreciate its beauty, these engagement rings are guaranteed to sparkle for a lifetime. 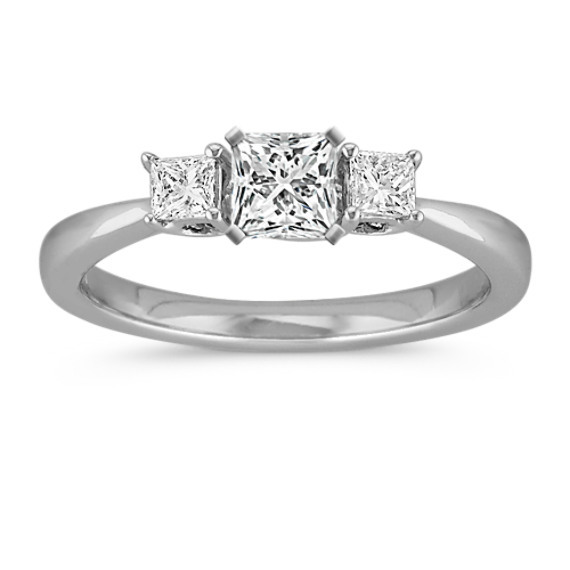 What diamond cuts are used for three-stone diamond engagement rings? 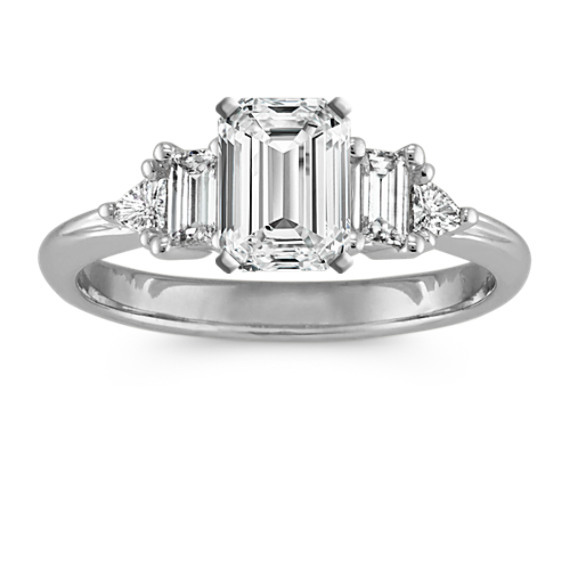 A variety of diamond shapes can be used to complete a three-stone ring, including round, pear-shaped, emerald, marquise, oval, cushion and princess cuts. 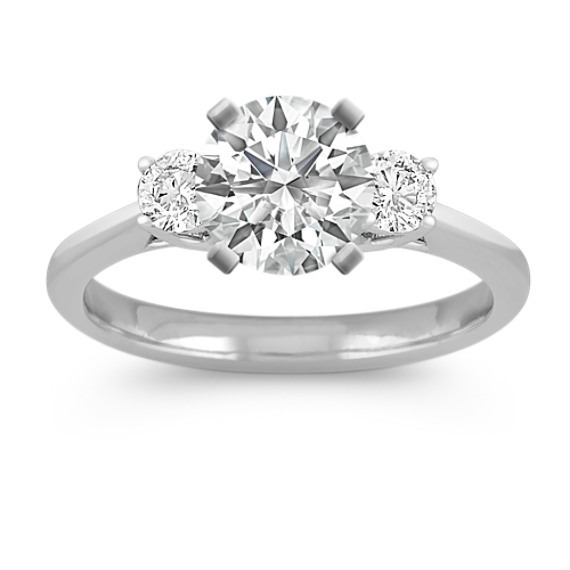 These stone shapes can be used on many of our other ring styles, whether you opt for an infinity ring or a traditional solitaire setting. 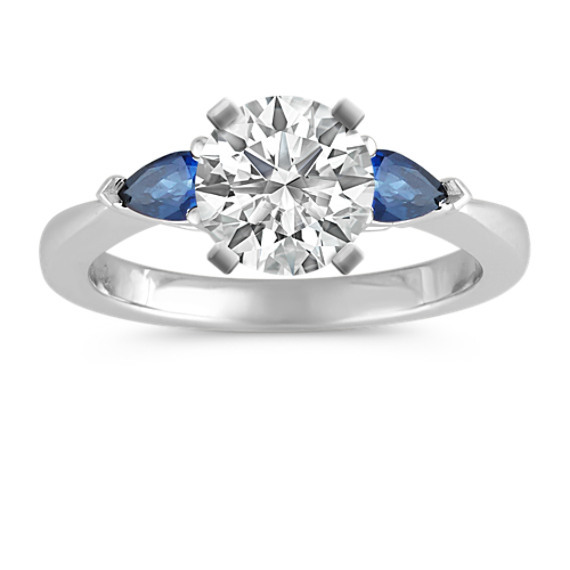 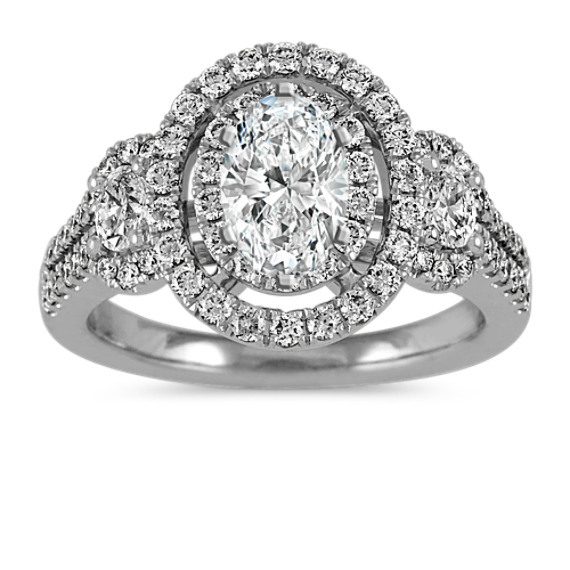 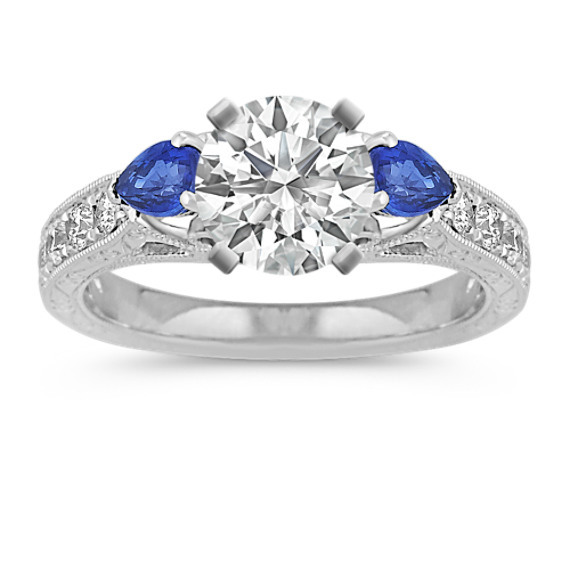 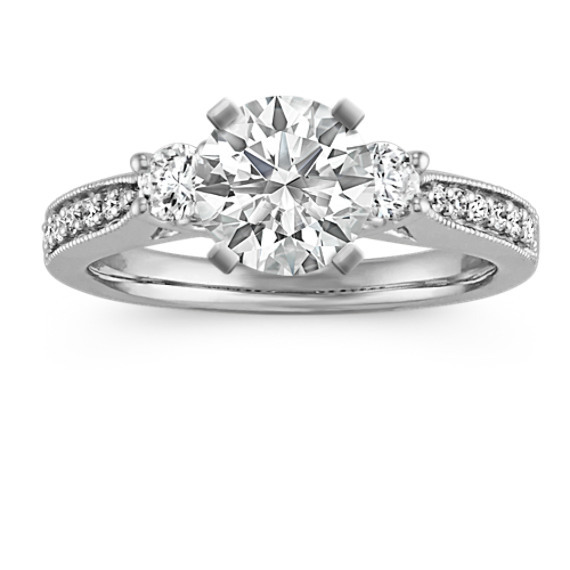 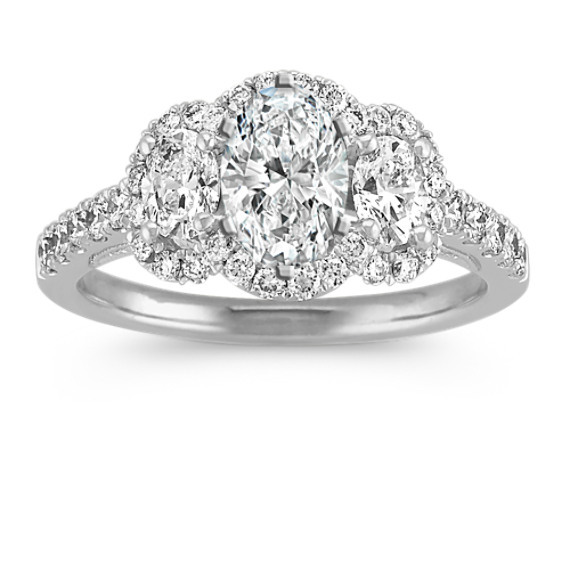 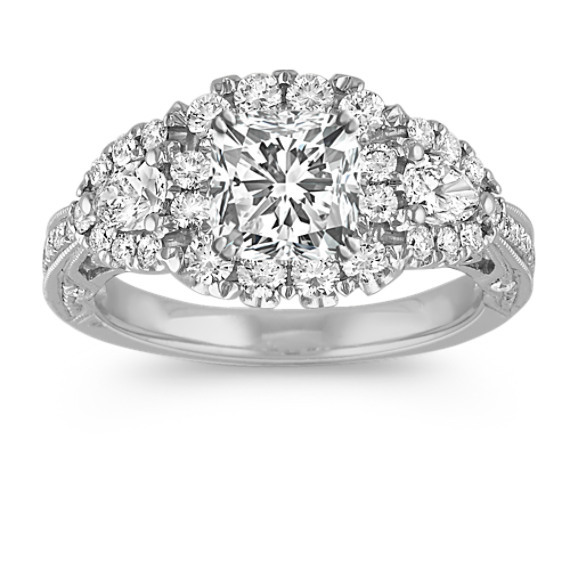 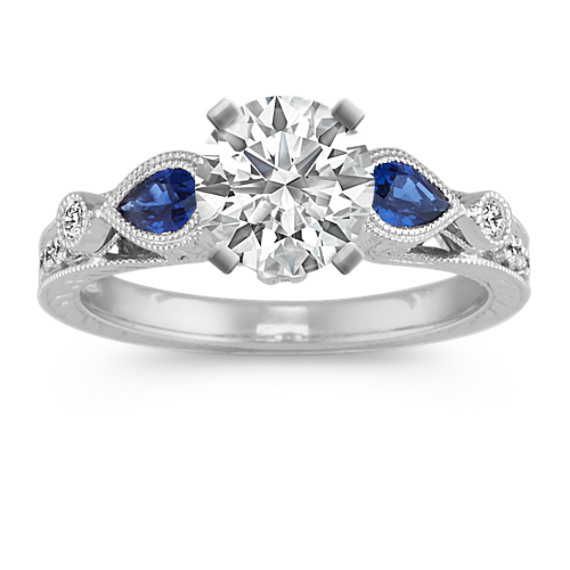 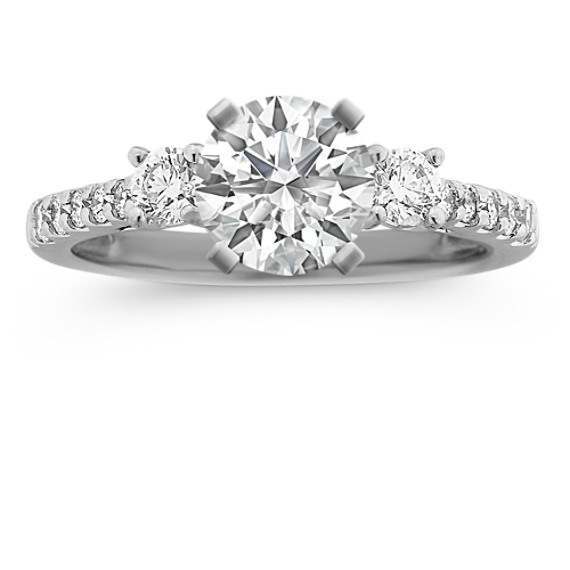 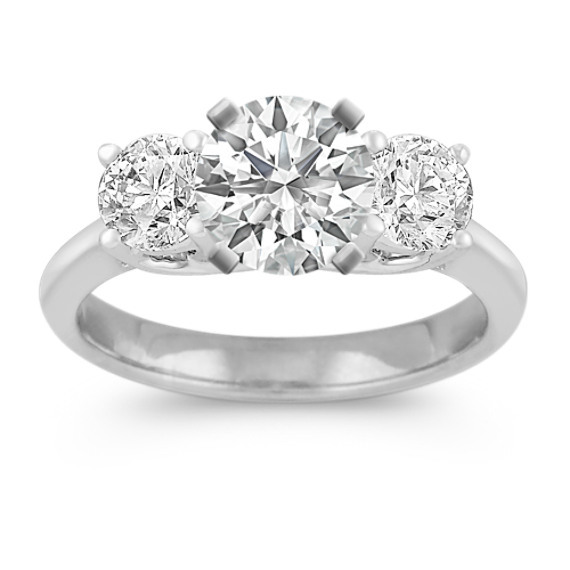 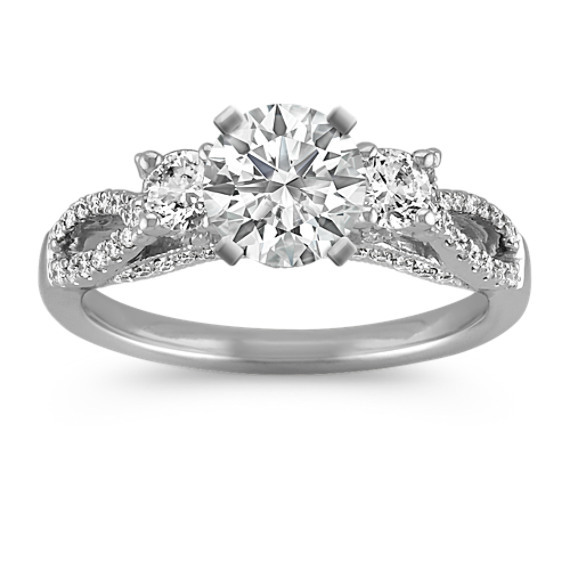 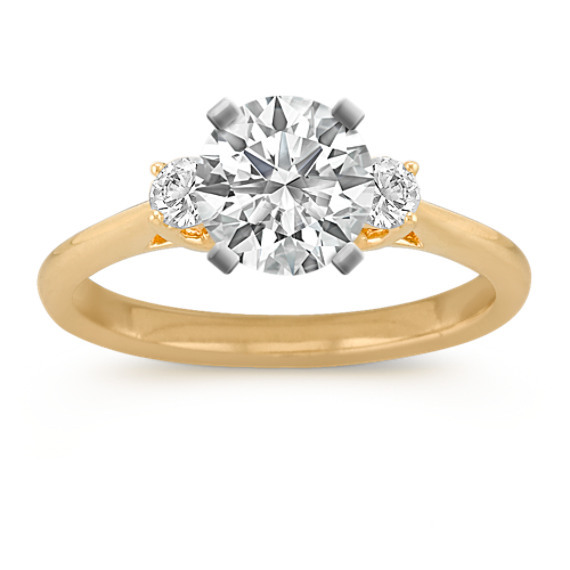 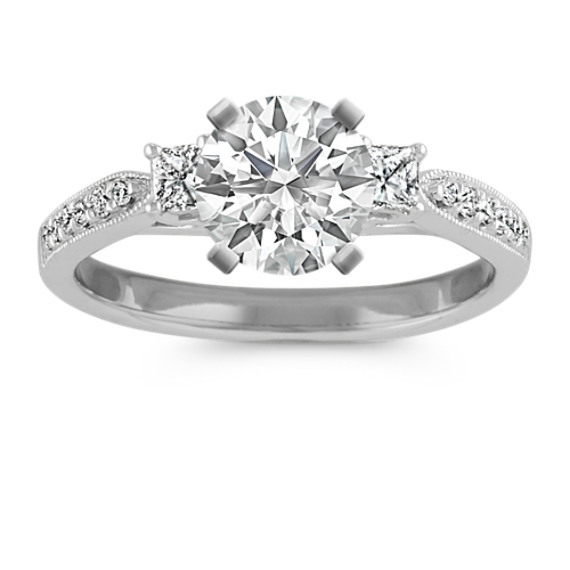 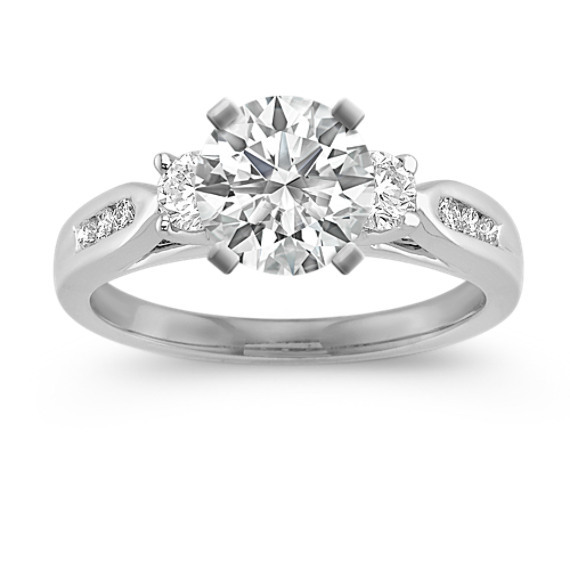 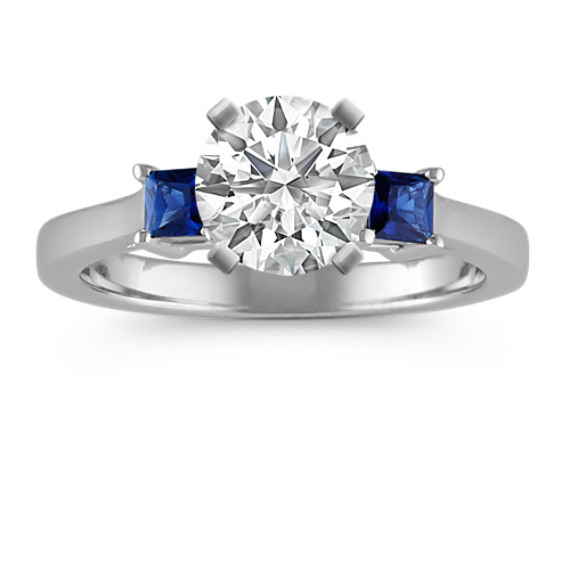 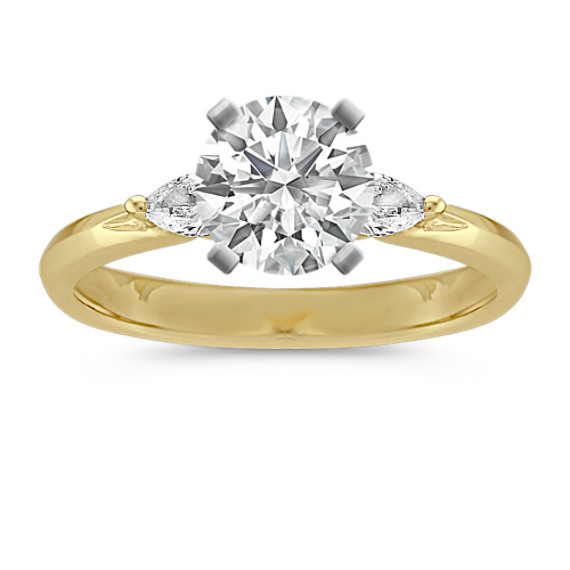 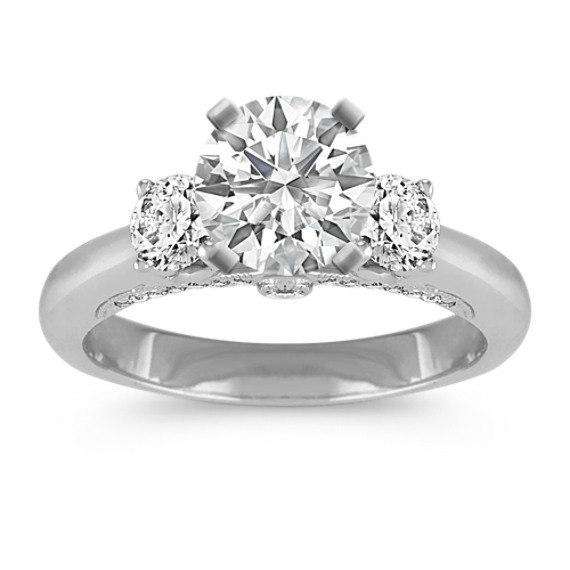 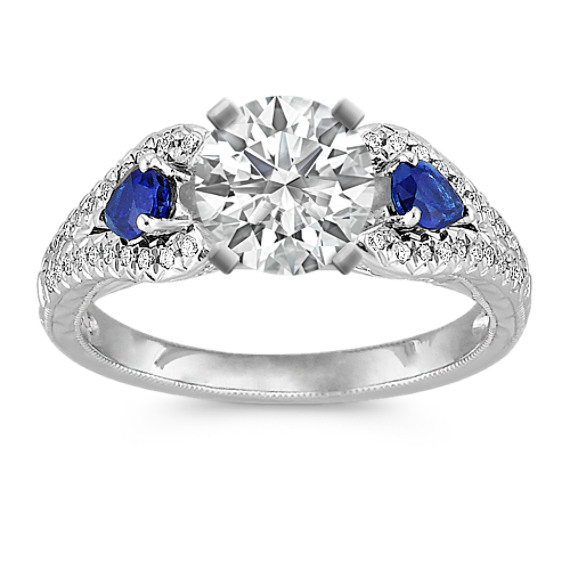 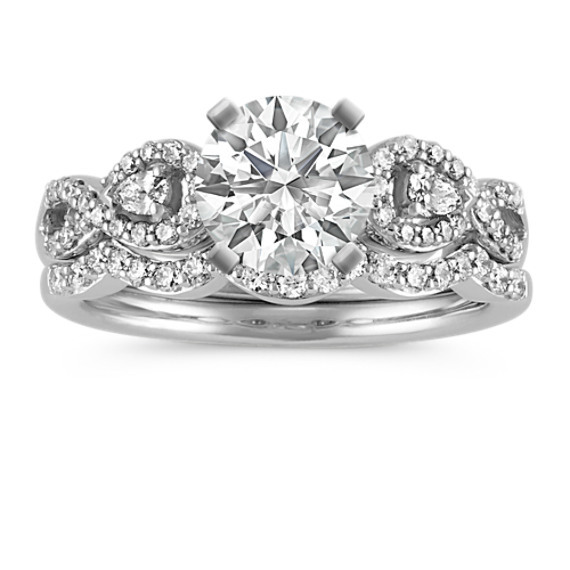 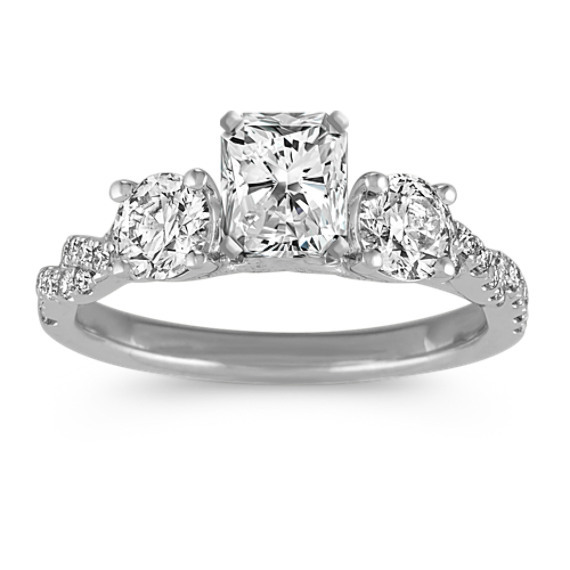 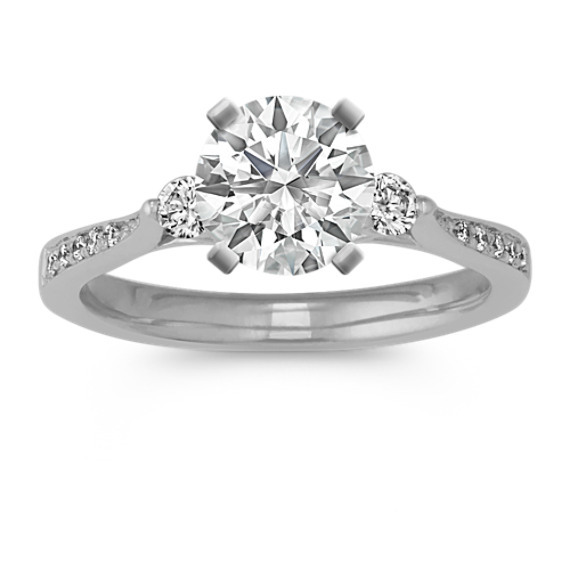 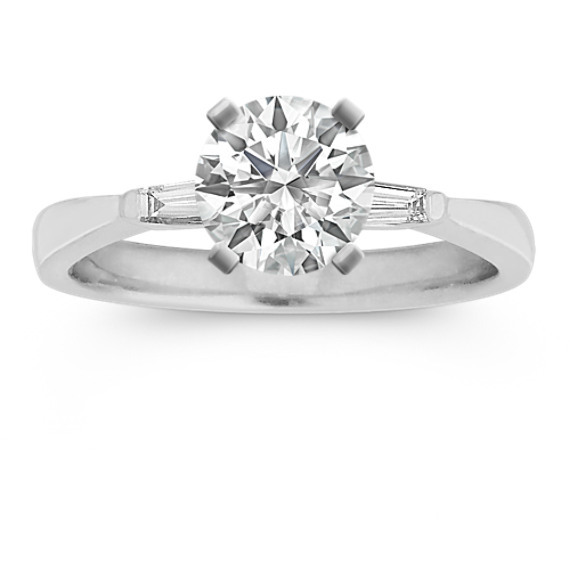 Can Shane Co. help me choose a three-stone engagement ring? 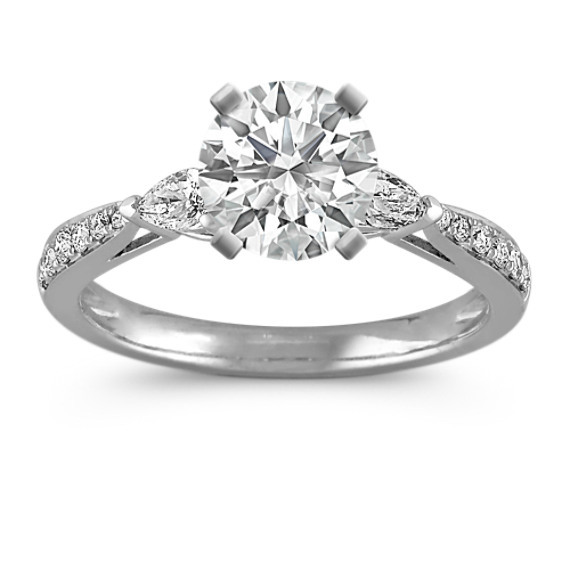 Choosing an engagement ring is an important process, but this should be an exciting and stress-free time in your lives. 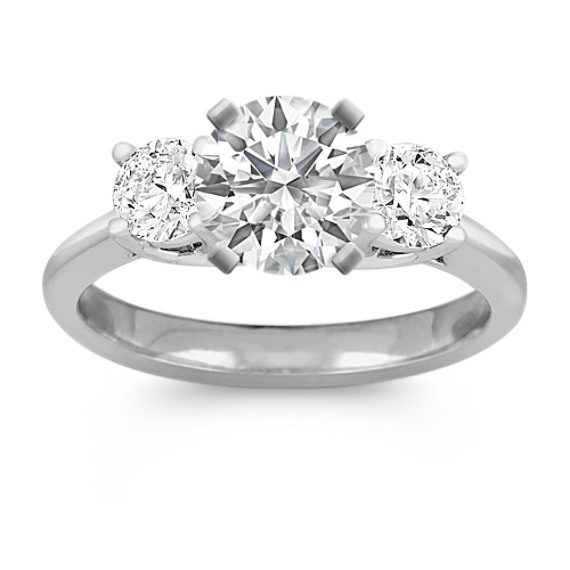 Let our team of diamond experts make the selection process as easy as possible. 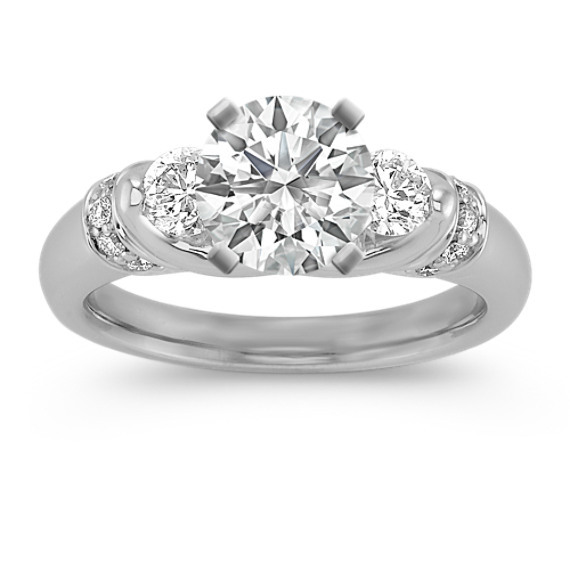 You and your partner deserve rings as unique as your relationship, which is why we offer a number of customization options to help you choose the perfect ring. You can compare different stone shapes and gems side by side and select from high-quality precious metals like 14k gold and platinum. 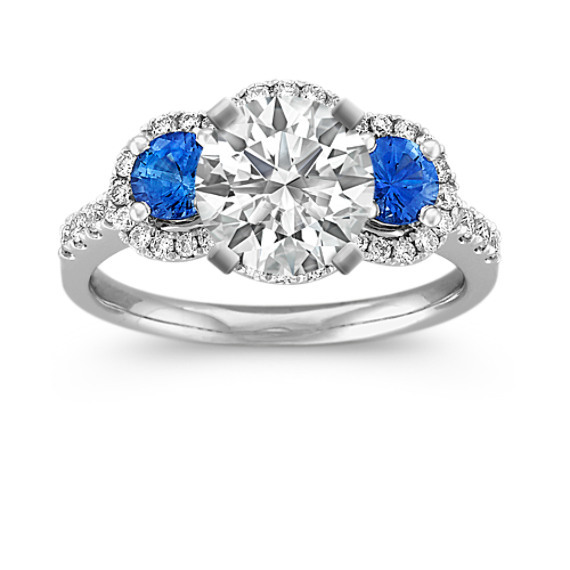 For everything from traditional solitaire rings to glamorous rings with colored accents, you can trust that you’re getting a high-quality piece of fine jewelry you can wear proudly for years to come.